If any single gene deserves a biography, it’s TP53 (more commonly known as p53). This is the gene, memorably christened the ‘guardian of the genome’ by David Lane, one of its co-discoverers, which is the tumour suppressor that is most commonly lost or mutated in cancer. It’s also the gene most commonly mutated in the rare and deadly cancer predisposition condition called Li Fraumeni Syndrome. Science writer Sue Armstrong has crafted that biography, delivering a book that is engaging, interesting and has a real page-turning quality that you might not expect for a book on the workings of a single gene. Adopting a largely historical narrative, the book explores the evolution of our understanding of cancer via our expanding knowledge of p53. Early on, before the structure of DNA was unravelled, scientists explored the viral transmission of cancer in animal models – sarcoma viruses could reliably infect animals with tumours. If it worked for animals, they reasoned, why not for people? How did the virus create tumours? Investigations showed that these viruses triggered changes in cells that eventually developed into cancers. Individual genes and pathways were discovered that were termed oncogenes – these were the culprits that caused cancer. But of course most cancers that develop in people are not virally transmitted, but as technology and scientific tools expanded the theories developed and changed. Our understanding of DNA spawned a revolution in our thinking, including our thinking about cancer and the role of genetic change. When it was first discovered – independently by multiple groups – p53 was assumed to be just another oncogene, a driver of cancer development. 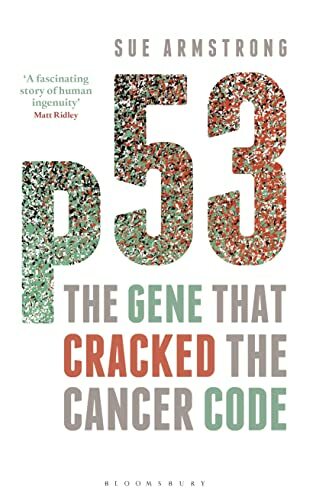 Eventually it dawned on scientists that p53 was not an oncogene – in fact it was the reverse, rather than being a fairly uninteresting oncogene it was actually the single most important tumour suppressor gene. It actively stopped cancers forming – this was the answer to a key question that many never seem to ask: why don’t we all get cancer? But the role of p53 extends beyond that anti-cancer role. 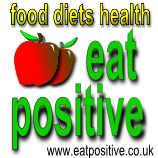 As our understanding has matured we now know that it has many other functions: aging, stress responses, cellular metabolism, immune function. It appears that this single gene has a finger in every pie. It sits at the nexus of a signalling network of enormous complexity. Sue Armstrong has managed to distil the story and to show us both the intellectual processes that went on as the thinking changed, and also to introduce us to the people behind those changes. This is never just a book about genes, it’s also very much a book about people. And not just the scientists like David Lane, Robert Weinberg, Bert Vogelstein, Carol Prives and others, but also about the people at the sharp end when p53 goes wrong. There are two chapters that deal with Li Fraumeni Syndrome, the cancer predisposition syndrome intimately connected with p53 malfunctions that are passed down through the generations in affected families. It’s a stark reminder that this is more than just a thrilling bit of intellectual history. This is also very readable book. The material could have been dry and academic, but this book is never that. It’s entertaining, informative and of interest to everyone who wants to know more about cancer and what drives it or stops it in its tracks.